I did not discover Christopher Hitchens till very recently. I had read his book "God is Not Great" and it will go down in my personal history as the last book I ever bought at Borders Bookstore. I enjoyed the book. One of my favorite things attributed to Christopher Hitchens is the use of "Hitchens Razor". That got me into some trouble with my Facebook friends. They didn't like the fact I could dismiss their hard held beliefs as nonsense. Even when that is exactly what they are. It is one of the reasons why this blog now exists. 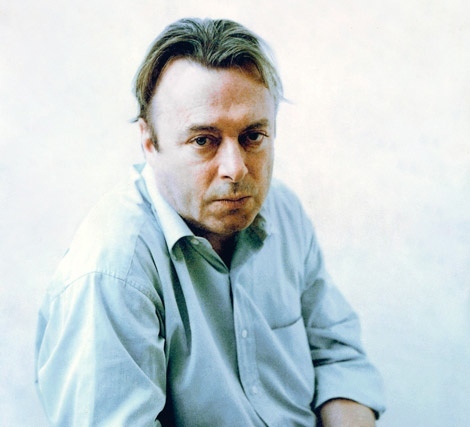 I plan on reading more Hitchens someday. Just have a stack of stuff to work through first. I haven't read Christopher Hitchens, but I have heard great things about it. Maybe I should put this book on my TBR pile. Have you read A Higher Power by John Betcher. It made me put my thoughts in order. Some reviewers were put off that the question of God's existence wasn't answered, as though someone can make that decision for you. Your comment about the last book you bought at Borders has me wondering now what I last bought there. That's interesting you liked Hitchen's 'God is Not Great" and the quote about evidence. I found Hitchen untrustworthy as a researcher in 'God is Not Great'. I am used to reading science publications, and I ended up stopping about half way through - exceedingly rare for me. He asserted without enough evidence (in my opinion) - like a journalist, where the angle and the story, was more important than the facts. Reminded me of Michael Moore's style in Fahrenheit 9/11. It's why, though I generally support Michael Moore's side of politics, I can no longer watch anything he does. JP, The issue with Hitchens though he is not trying to be a scientist, but rather a journalist. I would hold a scientist to the scientific method. Hitchens is making a commentary. While his research might be suspect (I am not sure he was right for example about Gandhi) I am more interested in what he has to say on these topics because of his point of view. I can concur with Hitchens Razor! Life has taught me the truth of it.